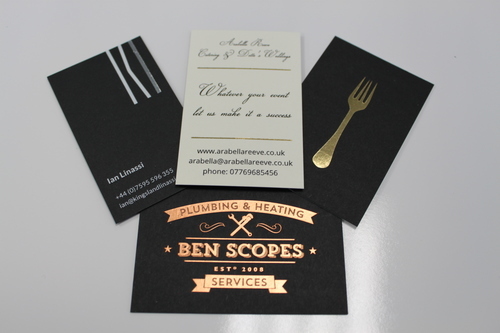 Do you require a quote for foil blocking or embossing? 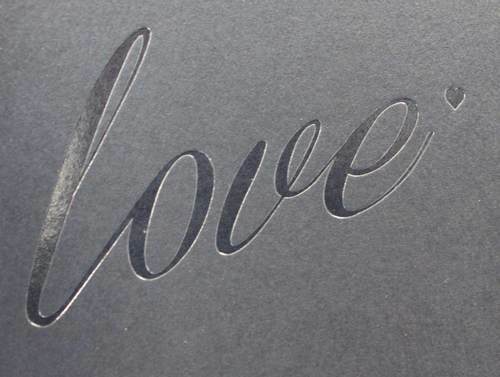 Foilblocking is the process of printing matt, gloss or metallic effects often used alongside traditional printing to embellish Stationery, Hard Back Covers and Brochures etc. With machines to meet all requirements, even those jobs such as proofs, limited editions and overblocking that you may have previously thought would not justify foilblocking can now be cost effective. Overblocking a mistake or an omission can often save an expensive reprint. 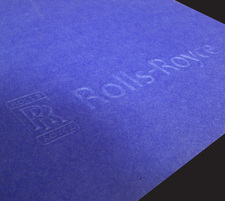 Embossing is the process of raising the image from the background material by using a male and female diewith heat and pressure. Debossing is when an image is sunken in to the substrate with heat and dwell. This is most effective on board and can give a striking contrast when used on textured board. We can deboss substrates upto 3000 micron. Clear foil is a great way to make an image to stand out. It comes in both a clear and matt finish. Gloss clear foil can be used as an excellent alternative to spot UV both for cost and application, it will give for good results on most materials which include uncoated, coated and also matt laminated sheets. Spot UV varnish will absorb into uncoated materials losing its gloss level this is not the case with clear foil. Our process can also be debossed or embossed and make your product stand out that little bit more without losing any of its quality.